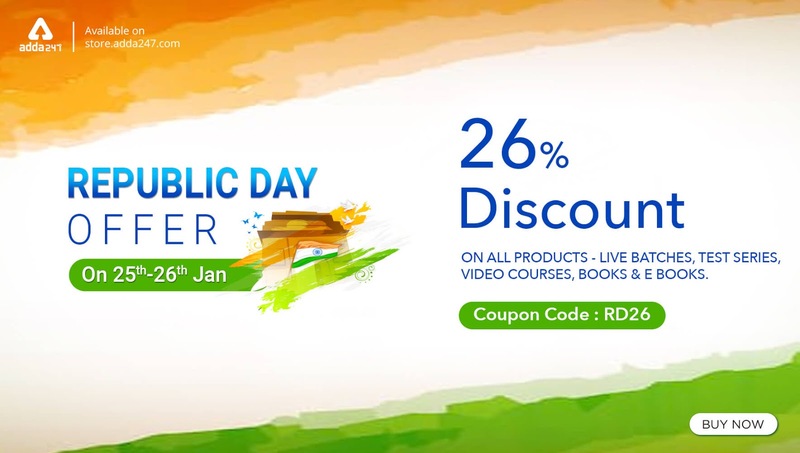 On the occasion of Republic Day, Adda247 is here with a discount offer to provide you all with best of its test series, ebooks, printed books, video courses and online classes at discounted prices, that is, 26% Off on Test Series, Video Courses, Live Batches, Printed Books & eBooks. You can avail 26% Off on the aforementioned study materials by applying the Coupon Code: RD26. 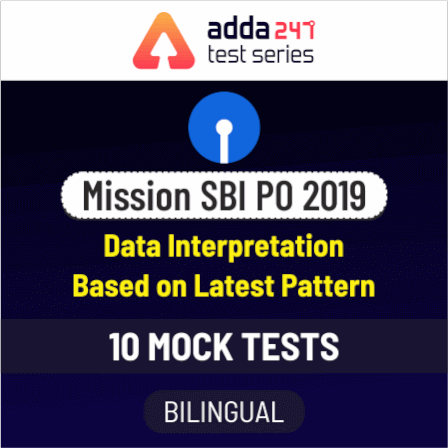 Adda247 test series incorporate a variety of questions that simulate the level of the questions being asked in the banking and other competitive examinations these days. Not only that but the test series are prepared taking into consideration the changing pattern of the examinations, the frequently asked questions and the new pattern twisted and complex questions. The test series available on the store are for IBPS PO, IBPS SO, IBPS Clerk, Canara Bank PO, SSC CGL, SSC CHSL, AFCAT, CTET and all other important competitive examinations. And students, in this era of technology, E-books are the main source of information to students as they have simplified the education system by making it more convenient and affordable. As we know that online or distant education is very popular these days, it is the easiest as well as an economical option for those who don’t have enough time to attend coaching classes. 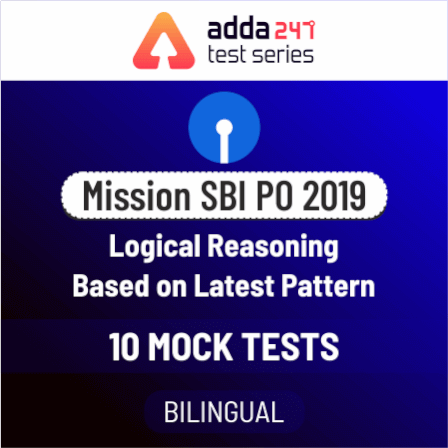 The Adda247 Publications provide one with a wide range of printed books for IBPS Exams, SBI Exams, RBI Exams, SSC CGL Exam, Railways Exams, CHSL Exam, etc. As so many exams are queued up to be held in the upcoming months, you must not wait in the wings and get yourself ready for them today itself. There are students who have doubts in some or the other subjects that will be asked in banking examinations, they are not even able to clear the concepts on their own and want to join coaching classes for the same. These Online Batches and Video Courses are specially brought up for those who are not able to join classroom programs for some reasons. Also, a huge number of students apply and appear for these examinations every year and that's the reason why the fight to get through them is real tough. It's like shape up or ship out, so students, start off your preparations right away. And all that one needs to make the cut is proper guidance in order to take steps in the right direction. So, get the video courses and online live batches and be ready to get through the upcoming competitive exams. So, students, the time has come, it's a good time to try your luck, you should strike while the iron is hot. You still have enough time to prepare for the exams that are queued up to be held in upcoming months. Get an edge over others with Adda247 Test Series, Video Courses, Ebooks, Printed Books and Online Live Batches.